B2C online service advertising - easyDNS Technologies, Inc. 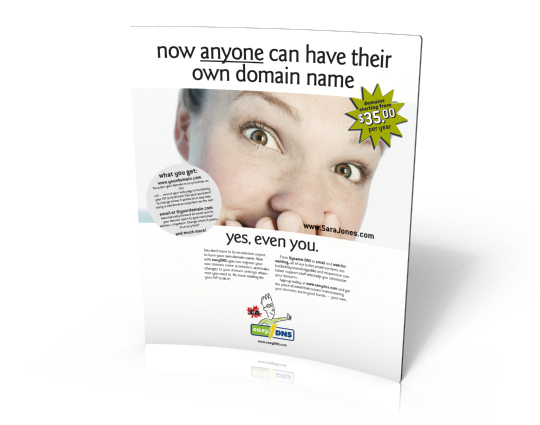 The “Anyone can” print based advertising campaign for easyDNS.com, targeted new white space sectors in the consumer market who would not necessarily conceive of owning their own domain name. By focusing on virgin market segments, the client can get a much bigger “bang” for their “ad buying buck”. The ads ran in computer papers and magazines serving the small office and home office markets.